So i don't know if i am being dumb or what but my gui designer is no longer displaying compnents the way they should be when i click preview. All of them are displaying small and you can not see them in the text. 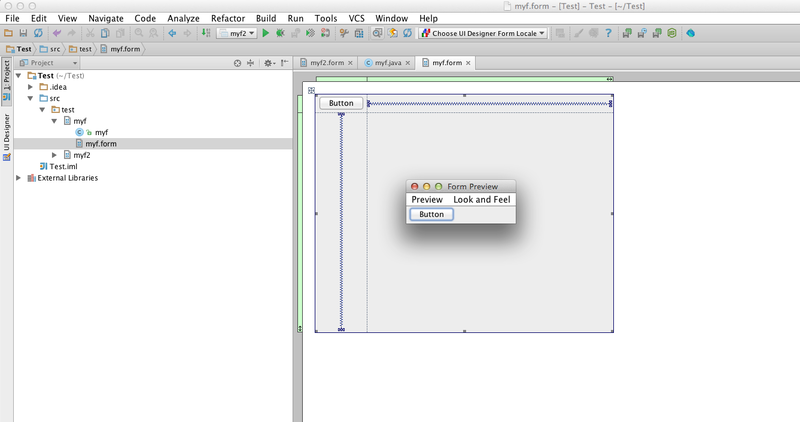 I am new to the GUI designer feature so i am sure this is a quick fix if you know what you are doing. I have inserted a picture below of what i am talking about. Any help is much appreciated! I don't seem to be able to open the link on this.I figured out that my JButton size is automatically set to -1 X -1 so i am able to make it show however it is not displaying my text on the buttons. Any Insight? GUI designer ignore more component properies in preview. I fixed this problem. So jealous right now! How did you get it to work? 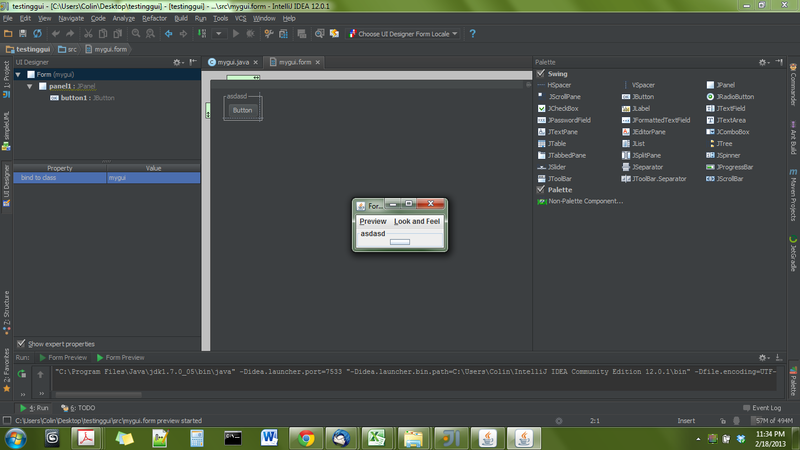 Please wait next eap - http://confluence.jetbrains.com/display/IDEADEV/IDEA+12.1+EAP or 12.1 release.